The Senior European Wrestling Championships kicked off on April 8 in the capital of Romania, Bucharest. 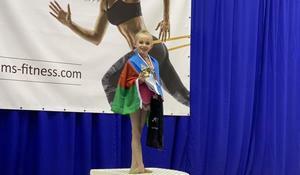 Azerbaijan's youth rhythmic gymnastics team won a gold medal at an international tournament entitled “Irina Cup” in Warsaw, Poland, Report informs. 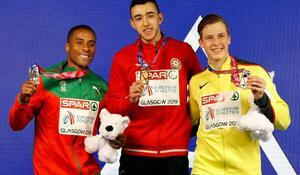 Azerbaijani jumper Nazim Babayev became the winner of the European Athletics Championships in enclosed spaces. 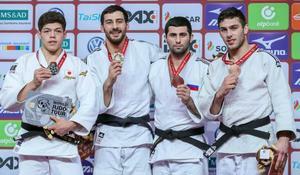 Azerbaijani judoka Mammadali Mehdiyev won the Grand Slam tournament in Dusseldorf, Germany. In the Polish city of Sosnowiec began International Rhythmic Gymnastics Tournament WINTER CUP 2019 on February 8, which was held with the support of the International Federation of Rhythmic Gymnastics. National athlete Mahammad Mammadli became European champion. 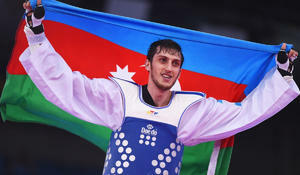 Azerbaijan's taekwondo fighter Radik Isayev (+80 kg) has won a gold medal of Azerbaijan in the Olympic Games in Rio de Janeiro. Junior Azerbaijani boxers have grabbed three medals, including a gold at an international tournament in Kazakhstan. 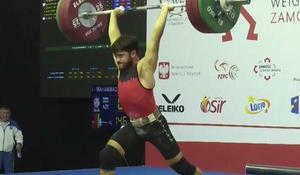 Azerbaijan claimed their third gold medal at the European Junior & U23 Weightlifting Championships in Klaipeda, Lithuania after Dadash Dadashbeyli triumphed in the men's 105kg division. Azerbaijani fighter Milad Beigi Harchegani (80kg) has won the gold medal on the first day of the Taekwondo Tournament Russian Open 2015.